Aline Brosh McKenna—who, opposite star Rebecca Bloom, serves as the behind-the-cameras half of the main creative team on The CW’s musical hit Crazy Ex-Girlfriend—is expanding her reach into the world of TV. According to Entertainment Weekly, Brosh McKenna is teaming up with Boom! Studios for a graphic novel adaptation of another classic tale of love gone all curdled and self-destructively weird: Jane Eyre. 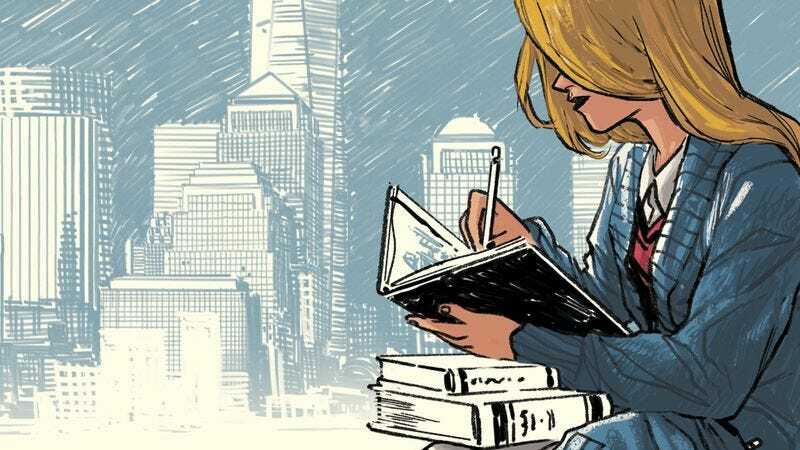 Brosh McKenna will serve as the writer on Jane, a modern-day version of Charlotte Brontë’s tale of dangerous secrets and obsessive love, while Ramón K. Pérez will handle the art. Brosh McKenna’s version will update Bronte’s novel from northern England to New York City, and will feature a Mr. Rochester who the writer says she thinks of “almost in a Bruce Wayne type of way.” According to Brosh McKenna, the book will be out in the fall, just in time for Crazy Ex-Girlfriend to dance and sing its way back onto TV for its already announced third season.